Another proposal and 3 Food Finds! 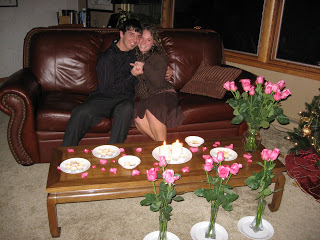 So there was another proposal…5 years ago! HA. 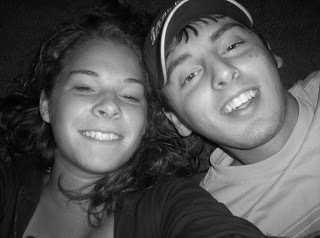 Kyle proposed to me 5 years ago on the 25th of this month and we started dating officially 7 years ago on the 24th. Wow. Time flies. Especially when you’re having a great time. 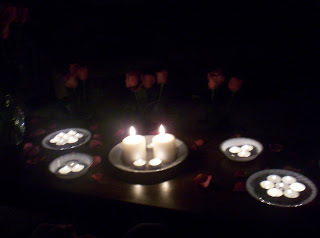 Here was the scene of our engagement night. What a perfect way to end an all-day date. After dinner we came back to his parent’s house and I walked in to this. Kyle sang me a song he wrote with his guitar and proposed. It was bliss. Now moving on….had to squeeze 2 posts together! New Food Finds (FF)! I got 2 of these at Target (but I believe they are all there). 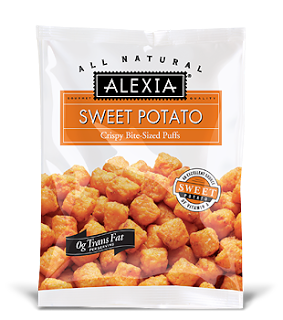 The first is these Sweet Potato “puffs”. 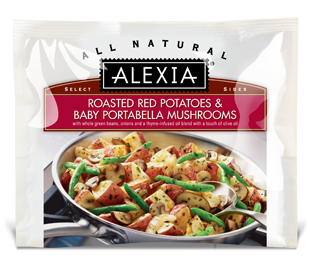 Alexia makes organic and all natural foods. I checked the ingredients and it’s a green light! They are delicious!!!! I really like sweet potatoes and I didn’t know it cause I just never ate them. It’s fun trying new fresh foods. Kyle and Abigail liked them so it’s a winner for the whole family. They were $3.29 regular price. Not bad. The next I had at breakfast. These are delicious too and Abigail loved them as well. Winner! 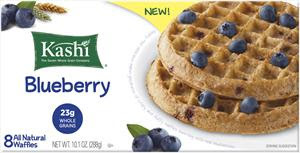 These are a whole grain waffle with blueberries in it. It tasted yummy and there weren’t unbleached or enriched flowers. It’s low in fat and has a good amount of fiber. I ate them with eggs and fruit. Perfect start to the day. They cost $2.99 regular price, I believe. The last is yummy as well. You sauté red potatoes, green beans, and mushrooms with parsley. This is delicious. Great side dish. Add some extra vegetables on the side with a lean protein and you have a perfectly balanced and healthy meal!!! Isn’t finding this stuff fun?! Well, it is for me. And I love sharing. Oh, I believe this was no more than $2.99….It may have been $2.59. I hope this helps give you more easy and convenient ideas for your breakfast and dinner table. I was just going thru coupons and saw those sweet potato puffs somewhere and thought i'd try it out. I love baked sweet potato fries so I figured they'd go over well with the family:) target Mobile coupons has a $1.00 off 1 right now!